A place where same people with same interests gathered together, they are called OTAKU! Come and Join us! You can spot them mostly at Anime Convention like Ozine Fest and others. Who would be taking the throne as the Anime Next Top Models for 2014 this March? Let's find out! 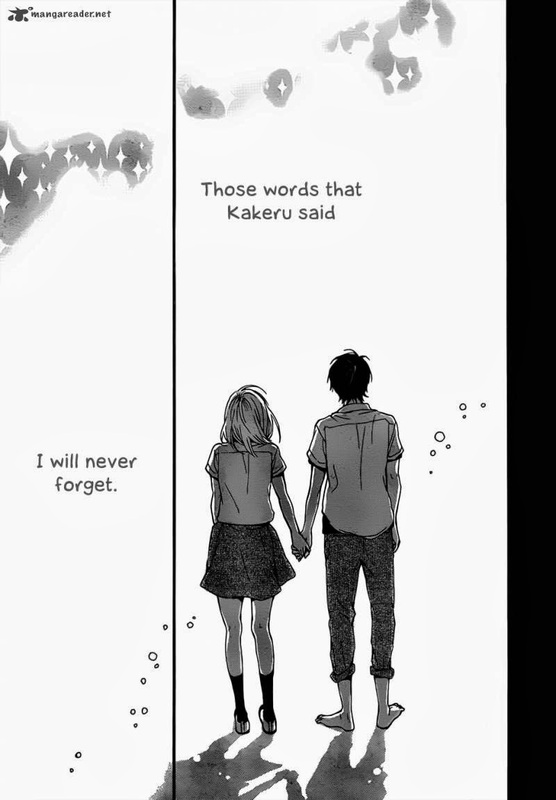 Have you ever heard of this super under rated manga that filled my days with crazy feelings and emotions and it keeps me wanting more?the manga that i was talking about was ORANGE by Takano Ichigo.This was the first ever manga that made me look like an idiot while reading it because i got really carried away to the uniqueness of the story. I just saw this manga in my news feed, it was posted by an anime page (can't remember what page tho) the art concept attracted me the most.so i gave it a shot , honestly i don't really like reading manga so this was my very first time reading one . It is a love story/mystery/slice of life/romance manga ,and i respectively don't really like these kinds of genre, but still i got intrigued by the comments of the people who have read this manga so ....i still gave it a go.It was about a girl who received a letter from her future self.the letter contains tips and reminders from her future self because her future self wants to fix and help her past self from making decision and avoid regrets. At first i was like ,"meh , i'm just going to finish this chapter , then i'm going to stop reading it." .and then after a while , i find myself craving for more , so i went to the second chapter and told myself "maybe one more chapter". Then the these words began to enter my brain when i started reading the third chapter "maybe this manga is not that bad" ....and there you have it ,after an hour i finished reading all the available chapters because i found out that the manga only updates once every month. It was okay for me , because i really find it worth waiting for. I am really hooked up to this manga, i really find myself cringing whenever i started reading it , but not until they released the tenth chapter it was an epic chapter but in the end of the chapter i found something "there will be no updates for next month , but please be patient" .my hopes and dream were crushed into shards and started to scatter in the mid air...i waited for almost 2 months and then my heart broke ,when i found out Takano Ichigo is going to a hiatus and there is no exact date or time when she is going back.i waited ,and waited , and until now its 2014 there is still no signs of her going back. I highly suggest you guys to read this even though i know its not finished it is still worth reading for! We might even know she may return this year or maybe next month or maybe tomorrow? We will never know. Attack on Titan LIVE ACTION! Otaku's Event Guide list for the month of August.